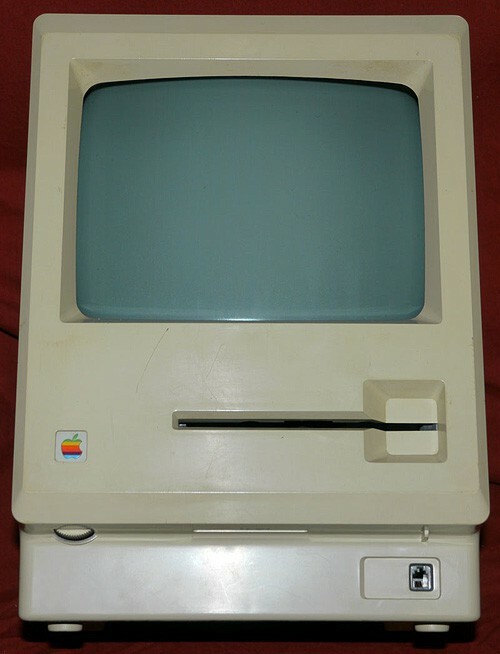 For fans of vintage Macintosh computers and truly rare finds, a very unusual item has just surfaced in the wild: a 128k Macintosh prototype that used a 5.25” “Twiggy” floppy disk mechanism, the same kind Apple used with the first generation Lisa workstation. Pseudonymous user mactwiggy posted some photographs of his rare find (location unspecified) over at applefritter. Production Mac models used 3.5” 400k floppy disk drives, a format Apple largely introduced to the world. 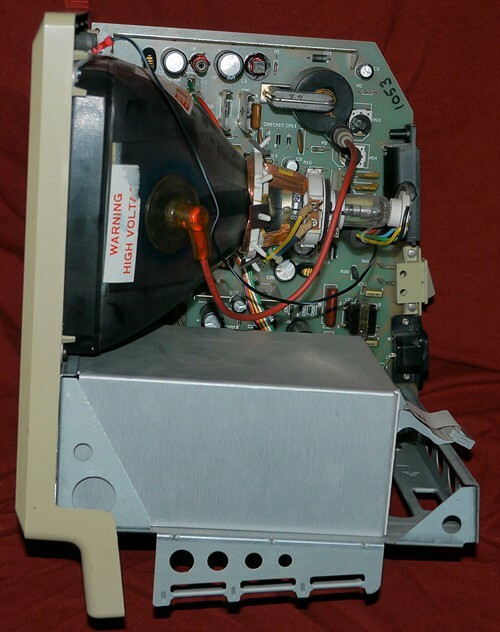 This pre-production system used the proprietary Apple Twiggy 5.25” disk format, which was notoriously unreliable and eventually shelved in the Lisa 2 in favor of 3.5” disks. No shipping Macs were ever released using 5.25” internal disk drives. I bought it through an online ad. The elderly gentleman I purchased it off of is a retired engraver. The company he worked for was hired to make some award medallions for a ceremony at Apple. It would have been some point in 1983 I personally think, but he really couldn’t recall. They sent over this Mac to use as a model for him to work off of. When the job was done, they tried to make arrangements to send it back. Apparently after several attempts, Apple just told them to keep it. He knew what he had, and knew the price he was asking was low, but didn’t want to deal with trying to market it. He was really just happy it was going to someone who knew what it was and would appreciate it. 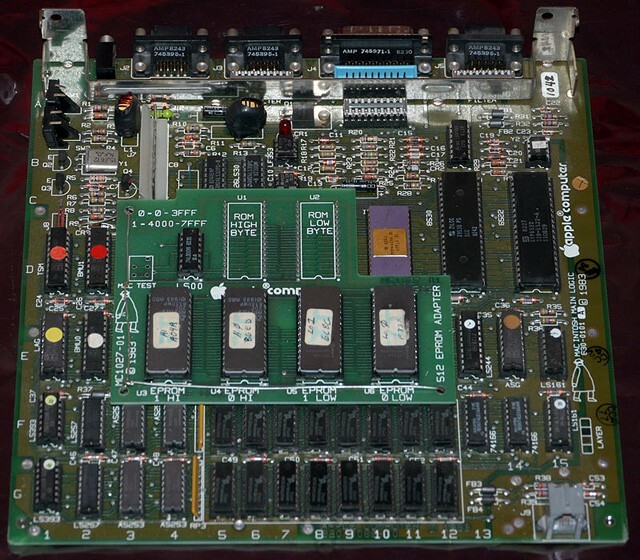 Notable on the motherboard is a riser card with 4 custom EPROMs. 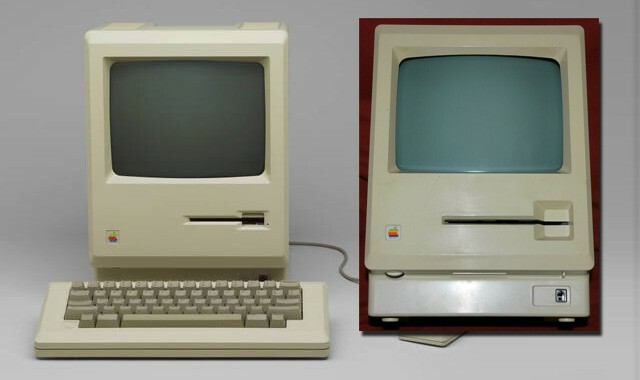 These were early testing systems and the Mac firmware wasn’t finalized yet. Also interesting are two silkscreened icons of “Mr. Macintosh” on the logic boards, which was an early logo and marketing symbol for the Mac that got jettisoned before launch. Truly a vintage find! More photos at applefritter. Thanks to Des at LisaList for the heads up.